Jadience Joint Body Spray Review – Is This Product Safe To Use? Jadience Joint Body Spray is topical spray that is designed to support muscles and joints. The spray is touted to increase the circulation of blood throughout the system and the same time strengthen your body’s immunity while flushing harmful toxins from your body. The product is made for everyone but athletes will find it more valuable since it will relax and soothe tight and sore muscles respectively and this is believed to help prevent injuries relating to muscles and offer more strength for more productivity. Jadience Joint Body Spray is available over the counter without the need for a prescription. This makes the product readily available and cheaper since it can be purchased online and have it delivered to your doorstep. The cost of online buying will of course vary with the shop you buying it from and your shipping charges. What is Jadience Joint Body Spray and What is The Company Behind Jadience Joint Body Spray? 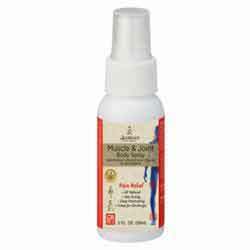 Jadience Joint Body Spray is a topical spray that is designed to help boost the healthy muscles and joints. It is designed for muscles and joints that are heavily used and thus it can be described as high-performance product. The manufacturer claim that they have used the best natural ingredients to ensure stellar performance. Being a topical spray, the product is easy to use since it is applied directly on the point where it is needed. This makes it easily and quickly absorbed in the body and thus a faster turnaround. The product can be used to soothe; muscle spasms, muscle strains and sprains and increase endurance by improving the flow of oxygen in the muscles. This product is manufactured by Jadience Herbal Formulas. This is a company that specializes in creating herbal remedies to everyday problems. There have several other products under their stable and thus we can assume they know what they are doing. What Are The Ingredients Used in Jadience Joint Body Spray? Cortex Mori Albae, Radicis – It has been known to increase the circulation of blood and thus has been attributed to reduced blood pressure. On top of this, it slows down the breakdown of sugar which translates to healthy blood sugar levels. Radix Ginseng – Scientist have shown that it increase vessel dilation and thus it enables the movement of more vitamins and nutrients and the flushing out harmful toxins from the body. Radix Angelica Sinensis – This is an analgesic that has mild pain relief properties. Other ingredients may include; natural lavender fragrance, potassium sorbate, bergamot, jade powder, caprylyl glycol. What Are The Advantages of Jadience Joint Body Spray? What Are The Disadvantages of Jadience Joint Body Spray? The serving sizes of each ingredients are not given. Jadience Joint Body Spray is a product that is designed to be used by people seeking high performance products that are safe and not addictive. Jadience Joint Body Spray fits this description perfectly. We believe this product will compete well with some of our previously reviewed topical sprays. Feel free to check out some other topical sprays. The information given will enable you to make an informed decision on whether to buy the product or not.